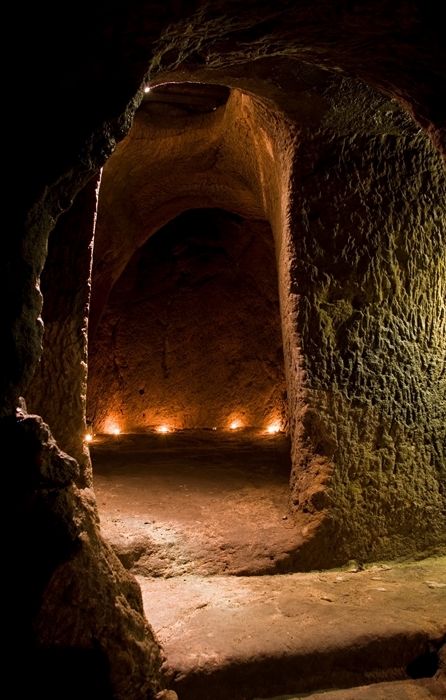 Delve deep into the past into one of Edinburgh's most intriguing and enigmatic sites and discover Edinburgh's best kept secret. 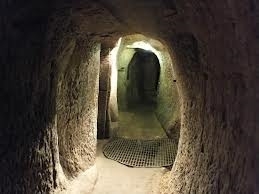 Gilmerton Cove is a series of chambers and passageways hewn from the bedrock sandstone that lie hidden beneath the streets of Gilmerton on the Southside of the City. An archaeological mystery that has baffled investigators for over 300 years. 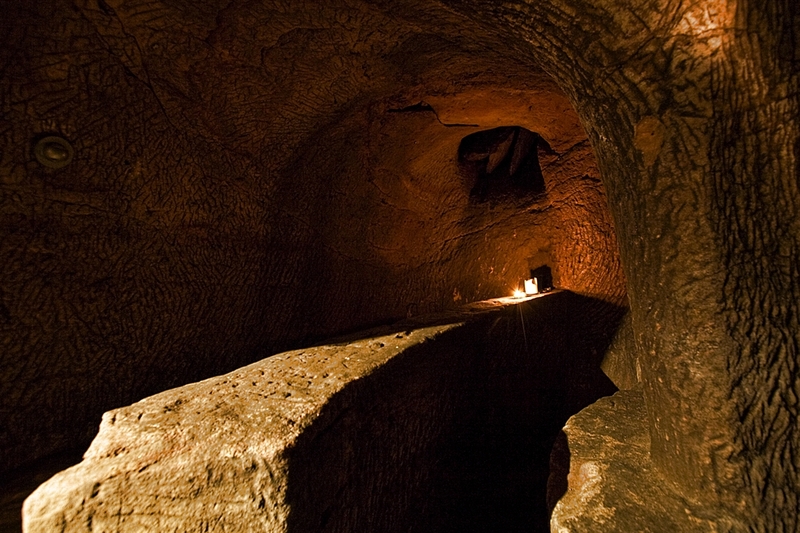 Visit the secret chambers and passageways of Gilmerton Cove. This unique hand carved subterranean attraction has seven different rooms with rock hewn furniture tables and chairs, after extensive historical and archaeological research investigators still don't know the exact origins of this site. The Cove has features such as a well, a fireplace, a blacksmiths forge and two back filled tunnels just waiting to be explored - theories abound as to its origins and uses. Secret Drinking Den? Covenanters Refuge? Witches Coven? Secret Meeting Place? Hellfire Club? Knights Templar? 300 or 2000 years old? You decide on a guided tour and help us unravel this stone carved puzzle box.